Storey Lake to Disney World | Less than 5 Minutes Drive! 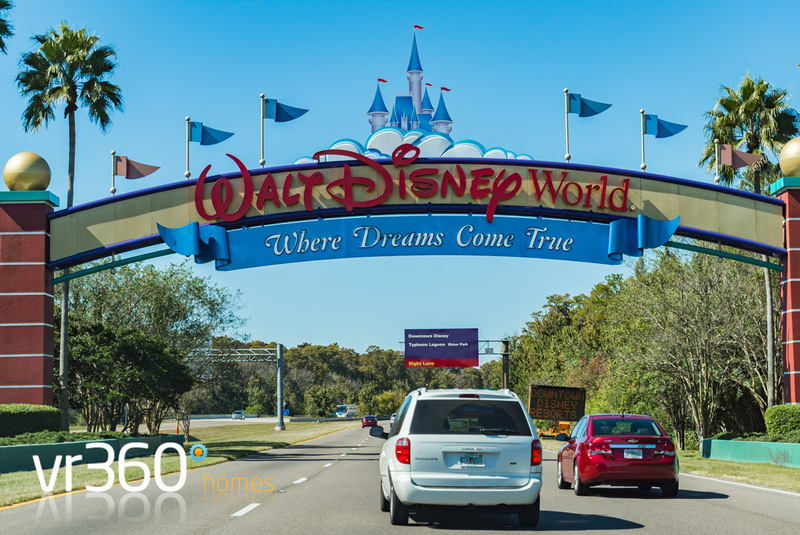 Home → Blog → Storey Lake to Disney World | Less than 5 Minutes Drive! The Storey Lake Resort is fast becoming one of our most popular Orlando villa communities and the reason is it's close proximity to Disney World. A questions we get asked a lot is: How do I get from The Storey Lake Resort to Disney World and are there any toll's to pay? Well the quick answer is No there are currently no tolls to pay even though you actually exit the Storey Lake Resort on to the West Osceola Pkwy which is a toll road. As you will see there are actually no turn off's to get to Disney. All you have to do is turn left out of the Storey Lake Resort on to West Osceola Pkwy heading West and just keep going. You will cross over the 417 (Central Florida Parkway) toll road then you will cross over the I4 (Interstate 4). Within a minute you will be at Disney Main Gate which is the big archway you pass through (see photo below). Once through the Walt Disney World archway you then choose which park you are visiting, it's as simple as that! Below is a short video showing you the route from the Storey Lake Resort to Disney's main gate (see photo above). From there it's around 5 minutes to each of Disney parks car parks where you pick up the trams in to actual theme park. This is probably one of the closest and simplest drives you will have from any Orlando villa community. Also you are unlikely to hit much traffic as you don't have to join I4 (interstate 4), which is a massive bonus!! During peak holiday times like Christmas and Easter the I4 can be a traffic nightmare so the more you can avoid it the better. Driving in Orlando is very easy just take your time to get your bearings and don't panic!! The Storey Lake Resort is also really close to Disney Springs which is where most visitors spend a lot of time during the evening due to the excellent restaurants and nightly entertainment. Disney Springs is around 5 miles from the Storey Lake Resort and is a very easy drive. Unlike the Disney parks Disney Springs has lots of FREE PARKING. We have included driving directions below and again there are no tolls to pay. Take the first exit on the right marked "192 Resort Area Via 535"
Follow this around until you reach an intersection (HWY 535). Turn right at the lights on to (HWY 535 North) Vineland Rd. Drive for 1.3 miles then get in either of the left two lanes. Turn left on to World Center Drive (HWY 536 West). Keep going straight and cross over the I4. You will then start to see signs for Disney Springs. Update: Having had a think about this I have changed my mind on the way to get from the Storey Lake to Disney Springs. Yes the above is the shortest route but I don't think it's the quickest as the traffic can be busy around World Center Drive. I would now recommend going the same way as going to Disney's Main Gate which is to turn left out of the main Storey Lake entrance and head West on West Oscelo Pkwy and just keep going. Once through the Disney arch just keep going and look for signs to Disney Springs. I think this route will be 3 or 4 miles longer but you won't have any traffic so should be a lot quicker. Hope that helps! We hope this blog post helps you navigate your way around Orlando and also shows you how good a location the Storey Lake Resort is in. We have a large selection of Storey Lake Villas to rent so please contact the owners direct to get a quote and book. If you have visited the Storey Lake Resort and would like to give us your opinion please comment below, we would love to hear from you. We are also in the process of writing blog posts telling you how to get from the Storey Lake Resort to SeaWorld and Universal Studios avoiding the I4 (interstate 4) which could save you hours during busy times. Check back soon for links to these posts.